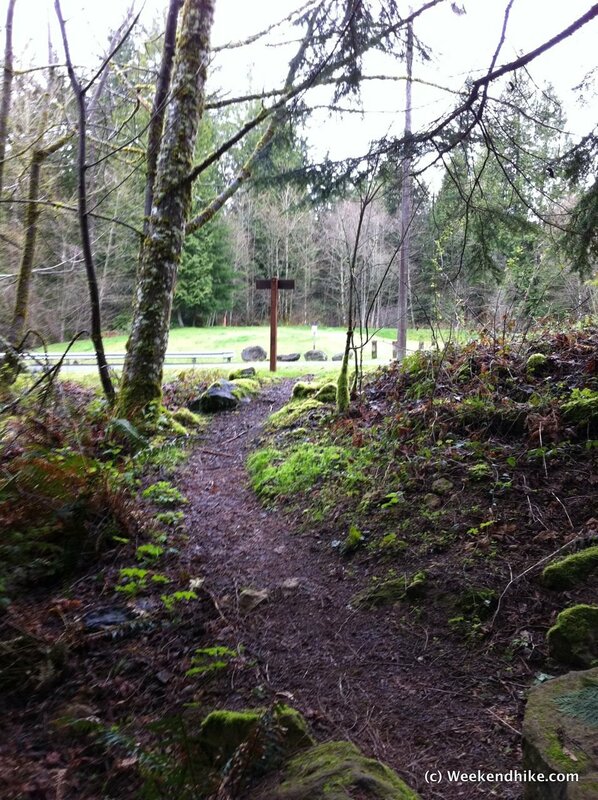 Nice hike off the beaten paths of Cougar Mountain. Not much to see until you reach the Falls, but the journey is enjoyable as you follow a creek for most of the way up. Less steep uphill sections than most Cougar Mountain hikes from the Wilderness Creek Trailhead. This hike is found in one of favorite hiking books on Page 76, but be aware there have been some changes to the Indian Trail (see below). Also - while this route is fairly easy, its always a good idea to carry a trail map of Cougar Mountain when hiking in the area. 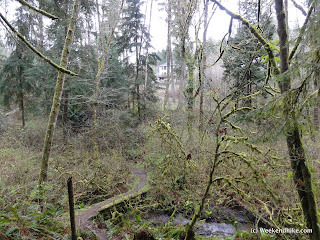 This hike starts from a neighborhood street near May Valley. There is no parking lot, just park along the side of the road. This trailhead sees very little traffic, so parking should be available. Be sure not to block the neighbors driveway or mailbox. The Trailhead is marked on an easement on the right side of the street. The Licorice Trail is a very pleasant Cougar Mountain trail. No long uphills, mostly dry even during our rainy winter/spring. 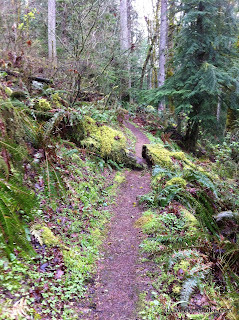 The trail is mostly single file, but is very well maintained. After the trailhead the route follows a switchback down to the Far Country Creek below. You follow this creek for most of the route. After crossing the creek, you follow the creek up the gully - lots of green mossy tree branches canopy the trail providing a mostly shade trip uphill. The uphill sections are not steep, its a fairly gentle climb up the mountain. Soon you will reach the main road - simply cross the road and look for the trail to continue slightly to the left. The trail follows the road for only about 20-30 feet before descending back into the creek gully and back into wilderness. 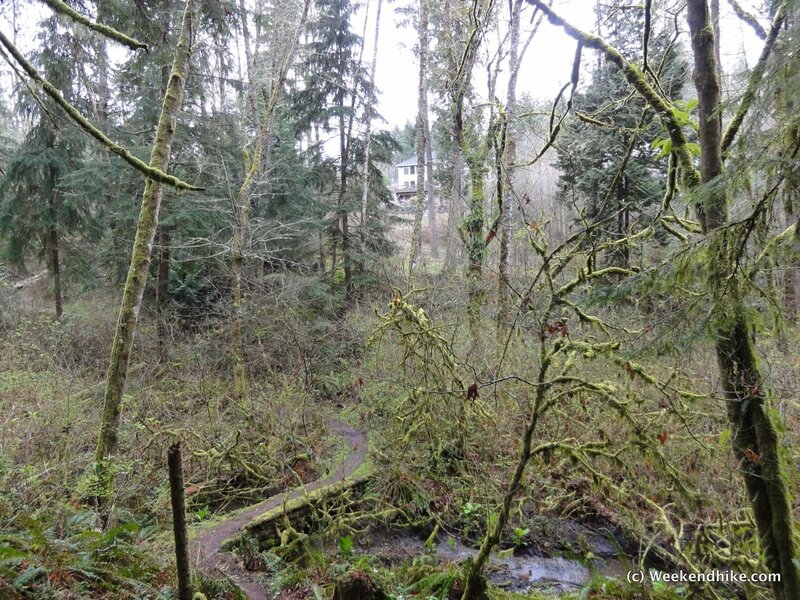 There are some homes surrounding this section of the route, yet you will still be in the wilderness. Close to the intersection with the Indian trail, you will reach a newly installed bridge (created by WTA). 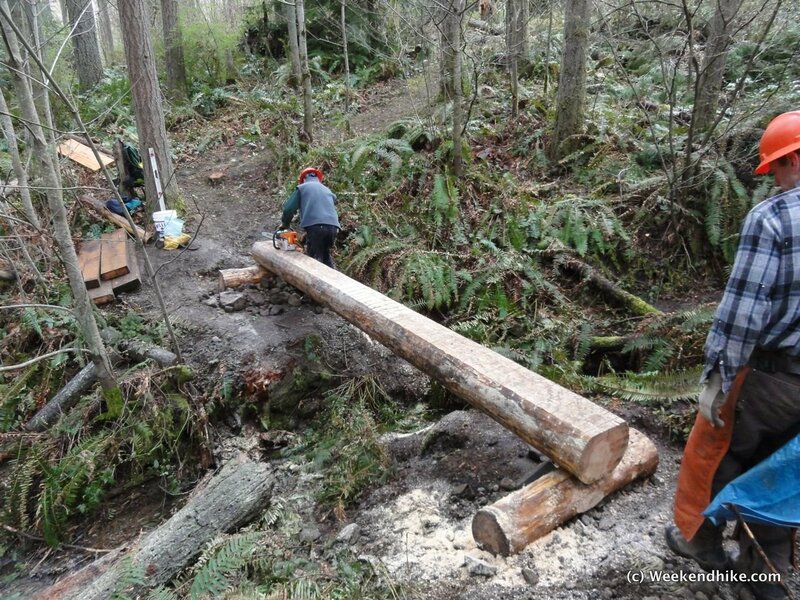 This bridge will avoid having get wet (or at least muddy) when traversing the small stream. Very quickly you will reach the Indian Trail - go to the left at this point (going right only leads to a street accessed by the neighborhood). The Indian Trail is much wider and more typical of the main Cougar Mountain trails. 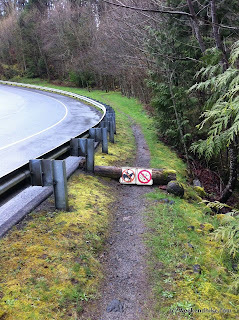 This trail also allows Horses. 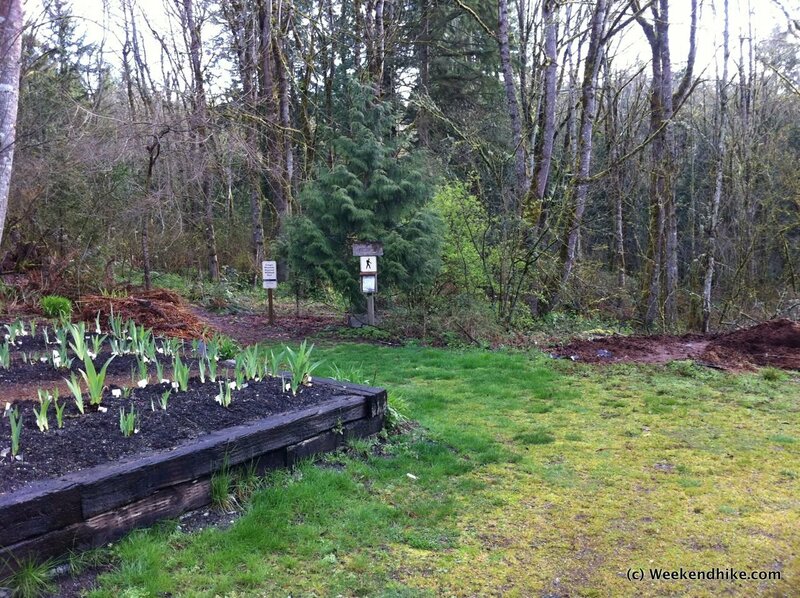 Soon you will reach an unmarked trail intersection - simply stay on the main trail to the right. The trail to the left was the old Indian trail, which has been replaced by the newer route on the right. 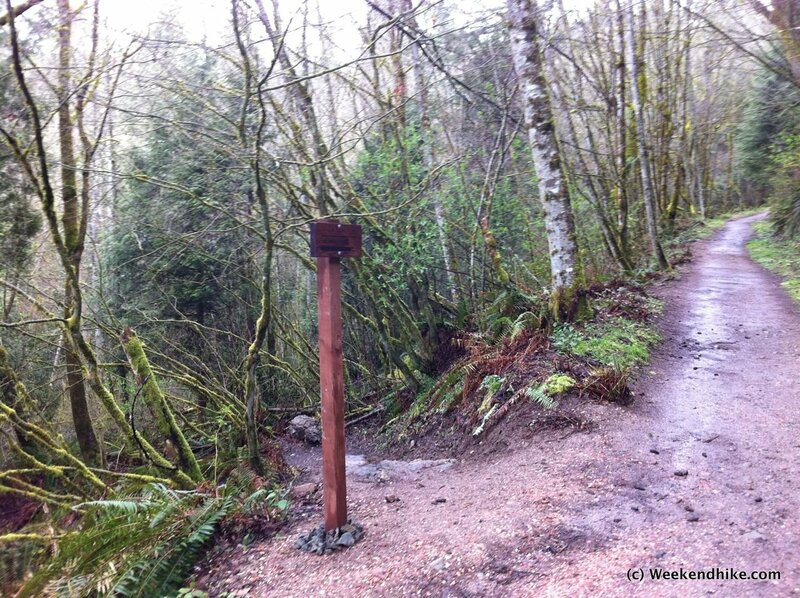 After a while you will reach the intersection with the Far Country Trail (S1) - as an option you can take this trail to reach the Far Country Lookout. Since it was a fairly cloudy day - I stayed on the Indian Trail to the Falls. I havent been to the Falls before, but it looks like they have recently installed a Viewpoint access trail which provides some great views of the falls from down below. 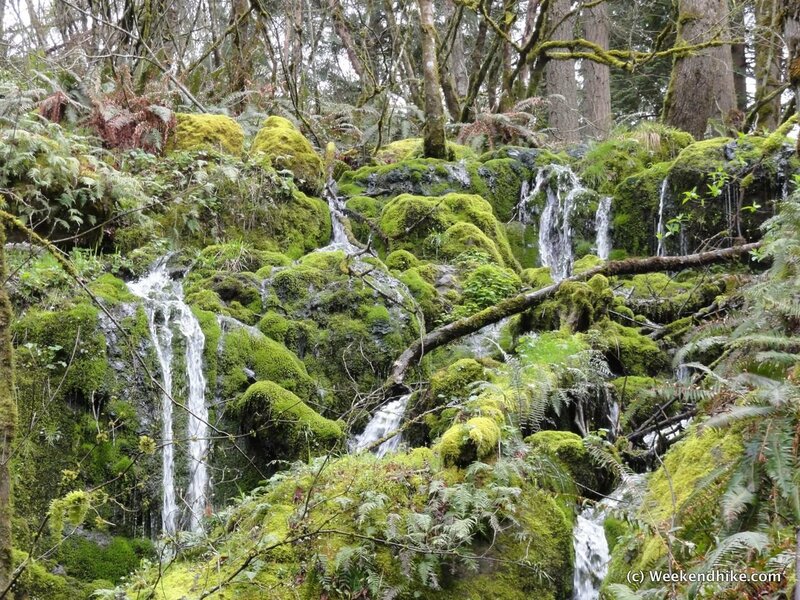 A view from the Viewpoint of the Falls up above -- look at all that moss! At this point you have traveled 2 miles, simply return the same way back to reach the trailhead. Or take the optional trip to the Far Country Lookout. 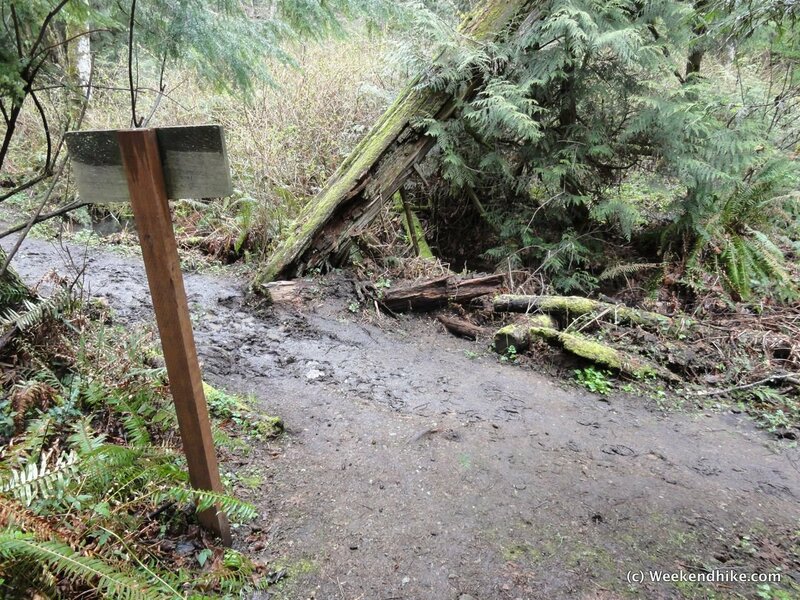 As will all visits to Cougar Mountain, I suggest taking along the free Map of the area. While I dont think anyone has gotten "lost" in the area -- the interconnecting trails make it a bit confusing at some points. At the very least, the map will prevent getting too far on the wrong trail. Trail - Out and Back, dirt trail, crosses one road. Well marked and maintained. Other Trails - single route up until you reach the Far Country area - bring a map.